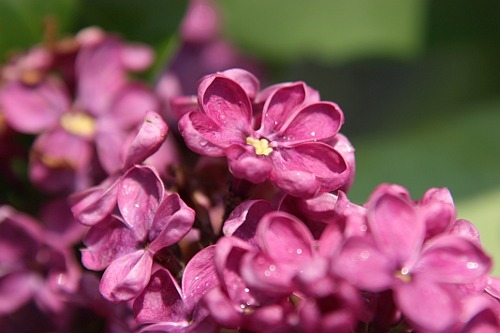 A short pause from the beautiful girl portraits for some beautiful flowers: purple lilac. 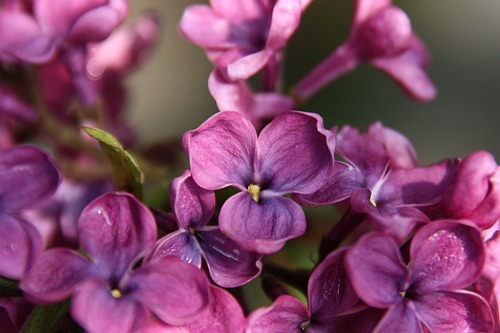 When I was a kid, we used to vandalize the lilac flowers, searching for "lucky charms": flowers with a non-standard number of petals, anything else than 4, be it less or more. And it happens a lot to find such "lucky" lilac flowers, but I think the tree from my garden is a mutant or something, you can find flowers with 3, 5, 6, 7 or even 8 petals.